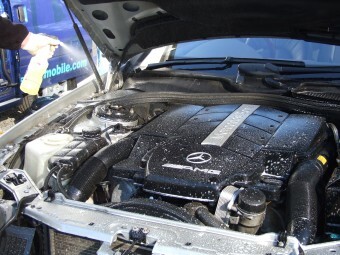 Engine bay - Any sensitive areas are protected and covered, before prespraying degreaser/detergent onto the engine bay and surrounding areas. After agitation the area is rinsed with clean cool water. It is then dried and a protective dressing is applied. 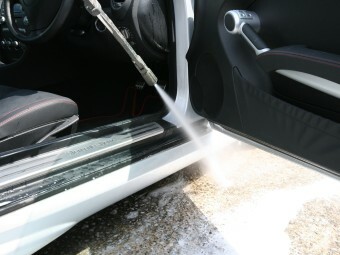 Door shuts - All door and boot shuts pre-sprayed with detergent and brushed to loosen ingrained soiling. This is the rinsed at pressure. Wheels - Wheels cleaned with several different brushes and a safe wheel cleaner. Wheels then rotated several times and rinsed to ensure a complete clean is carried out. 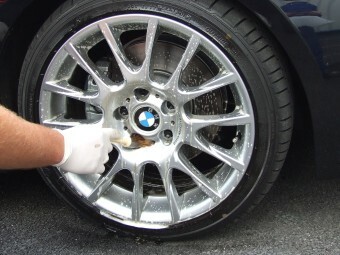 Wheels are de-tarred to leave a perfectly clean surface for the treatments carried out later in the process. 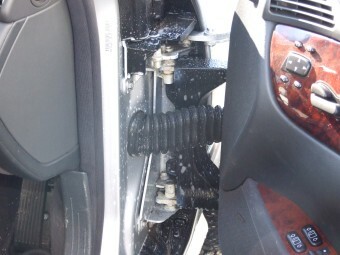 Wheels can be completely removed to allow better access. Pre-spray - Body work, arch-liners and door shuts pre-sprayed with a citrus degreaser to break dirt and loose fallout down. 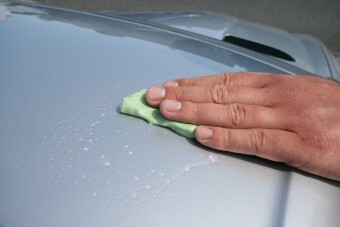 Remove insect marks - Leading edge of bonnet, grill and bumper sprayed with a dedicated insect remover. 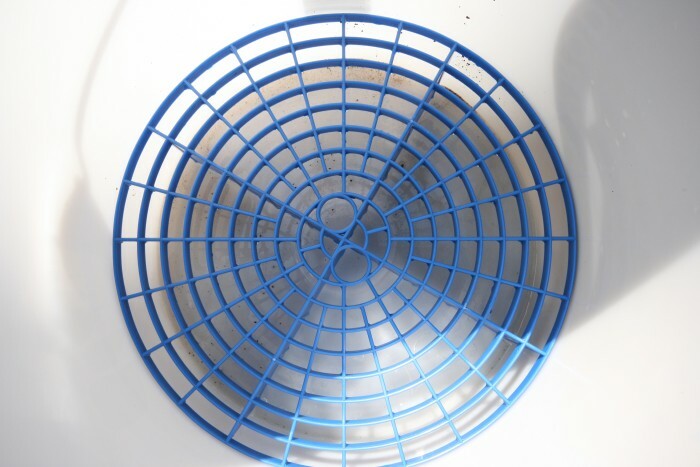 This ensures the insects are removed cleanly and easily with rinsing. No scrubbing required which in turn could mark the paintwork. 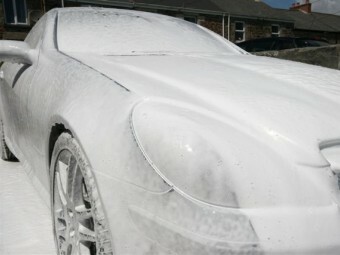 Foam pre-wash - A thick blanket of snowfoam is applied to the car. 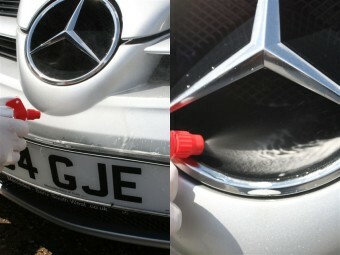 This gently lifts the grime from the car and ensures that as much of the dirt is removed as possible before we touch the paintwork. 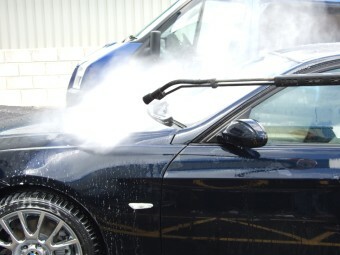 Even the wheels and the arch-liners get a coating of detergent foam before the entire vehicle then gets a high pressure rinse to remove the foam and the grime. First Rinse - The arches receive additional attention from our custom "swivel and bend" lance to completely remove build up of mud from under the arches. The door shuts get another rinse to get them perfectly clean and ready for protection in later stages. Hand wash - Now around 95% of the grime has been removed through our touch-less wash system we remove any remaining soiling with a hand wash. Even at this stage we are particularly careful not to mark the paint in anyway. 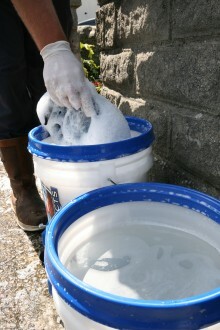 We utilise a wash procedure called a two bucket wash, this consists of two imported buckets which have a special filter/grit-guard built into them to stop any grit moving freely in the wash suds. One contains a shampoo solution the other clean water. We only use lambs-wool wash mitts and these are submerged in the wash solution a panel at a time is cleansed, working from the top down. After one panel has been washed the mitt is then rinsed in the plain water and wrung out before picking up more suds from the shampoo bucket. A slightly more time consuming process but it ensure no swirls are introduced into the paint as the dirt removed never re enters the wash solution. Second Rinse - Vehicle is the rinsed again at pressure. Drying - Now that the vehicle has been completely washed, it is dried with waffle weave drying towels. These are much kinder to paint than traditional leathers. 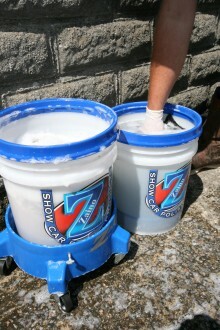 One pass over the paint is sufficient to dry it, again limiting the chance of any swirls being made in the paint. 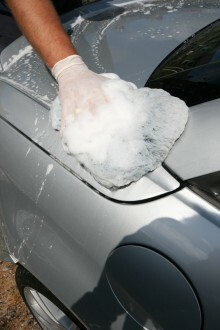 De-contamination - Now the paintwork is clean and dry, it is time to remove bonded contamination from exterior surfaces including paintwork, glass and wheels. This contamination is made up of: Tree sap/brake dust/exhaust emissions/Industrial fallout. 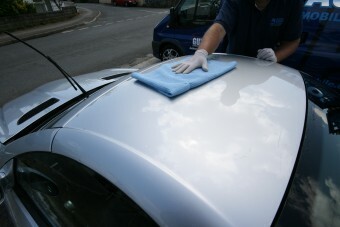 Essentially anything and everything airborne can settle on the vehicle and if left strongly bonds to the paintwork. Some of this contamination can permenantly mark/etch the paint if left for prolonged periods particularly if in strong sunlight. This fallout is what makes the car feel rough after washing. If this fallout is of a metal base we use a fallout remover at the wash stage which dissolves the particles and freely rinses off with water. For the most part this is not required. 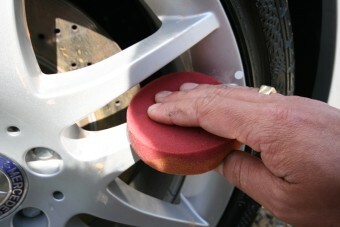 99% of vehicles, even new ones benefit from a claybar however. The clay is used in conjuction with a lubricant. The small area is sprayed with the lube and then the clay is past back and forth, shearing the contamination from the surface and embedding into the clay. 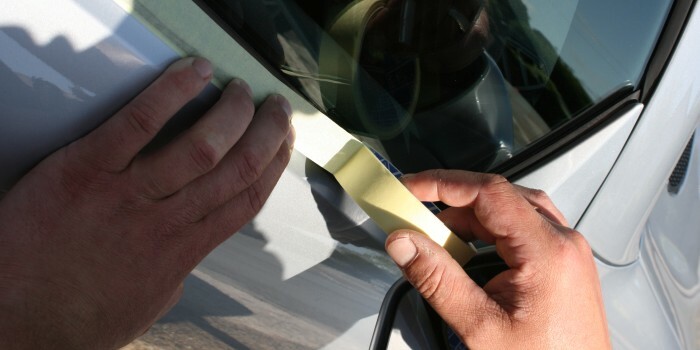 This leaves the paint and glass perfectly smooth. The benefits are that shine levels are increased greatly and further correction and protection processes are performed on "clinically" clean paint and not a rough "dirty" one. 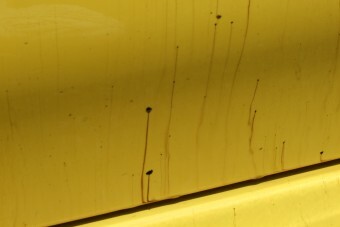 De-tar - The vehicle is now de-tarred to remove any unsightly tar deposits remaining. The tar remover breaks it down so it can be gently wiped from the surface. Now clean and dry the correction stages can begin. Paint Depth/Thickness - Firstly all panels are measured with a paint thickness gauge to ensure all correction processes can be safely performed. 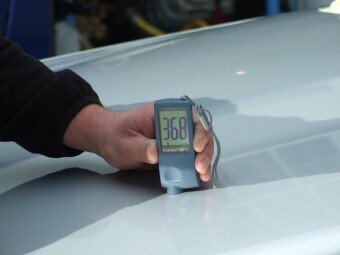 The gauge measures how many microns of paint there is to work with when removing defects and scratches. At all times we work within safe levels to maintain the paints integrity. An expensive piece of equiptment, but essential for a professional. All paint reading are entered into a spreadsheet which gives graph printouts, these are compiled into the report you receive post detail. Paint Inspection - A specialist 3m sungun is now used to help highlight all of the defects to be removed. Again expensive, but the best piece of equiptment for the job. 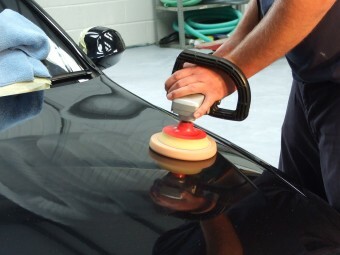 Masking - Now all readings have been taken and defects located any trim badges ect are masking taped off to eliminate any possible contact from the machine polisher pad and polishes. 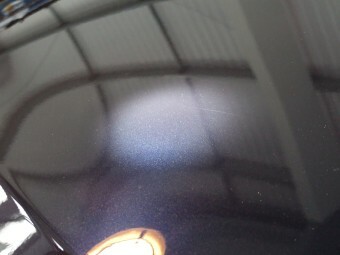 Correction / Polishing - The paintwork is now carefully corrected with various pad and polish combinations, until a perfect defect free finish is achieved. 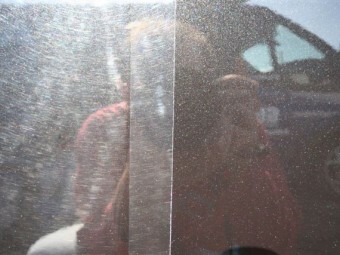 This stage is essential if light is to reflect perfectly and for metallic flake to become highly pronounced. This process is followed by an alcohol wipe of the paint to remove any residue from the polishes and to give the finishing products the best possible base to bond to. 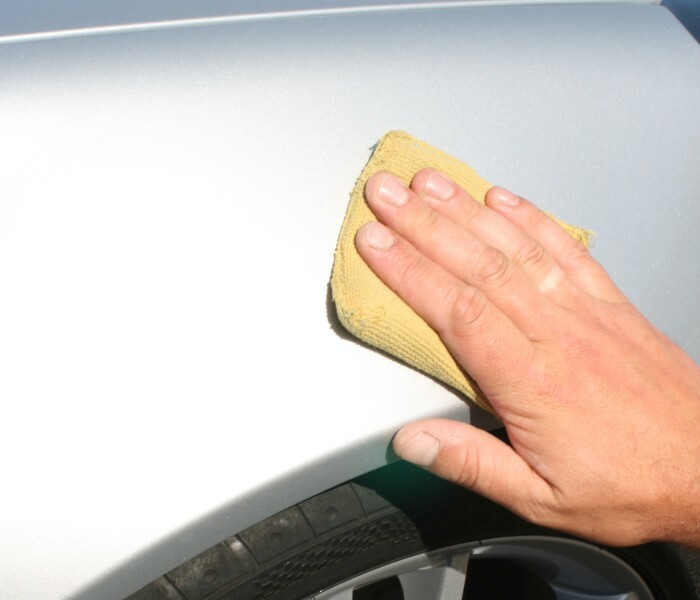 Paint Cleansing - A dedicated paint cleaner may be used again to ensure the base for bonding is perfect. 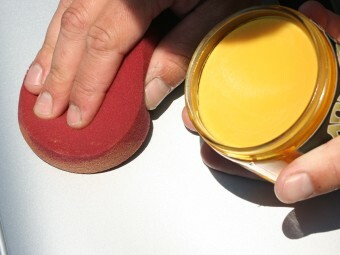 Sealing and/or Waxing - The sealant and/or wax is now applied and left to cure for the relevant period of time. 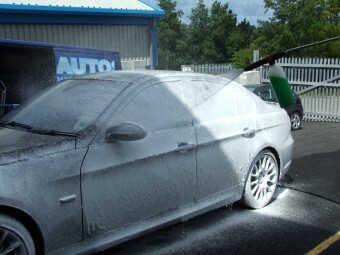 Great care is taken to ensure every square inch of accessible paint is coated to maximise protection. 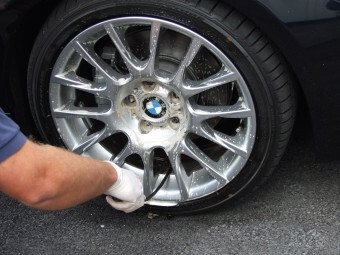 Tyres and Wheel - A durable nourishing tyre dressing is applied and allowed to soak in to the rubber, followed by a Teflon based wheel protectant is applied and buffed to reveal a high shine protective finish. Helping to stop dirt bonding and making it easier to clean next time. 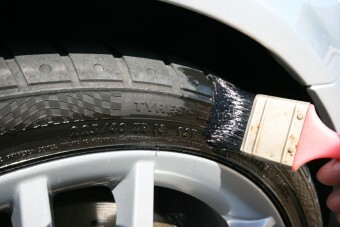 Exhausts - Exhaust tips are the polished with various products to remove exhaust deposits and restore a perfect finish. 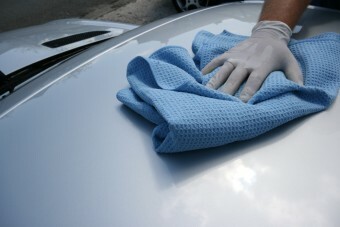 Windows - Windows are polished and buffed to a streak free shine. Finishing Touches - Plastics cleaned and dressed, wax or sealant applied to door shuts and all nooks and crannies cleaned and dusted. The grit in the bucket after!!! !